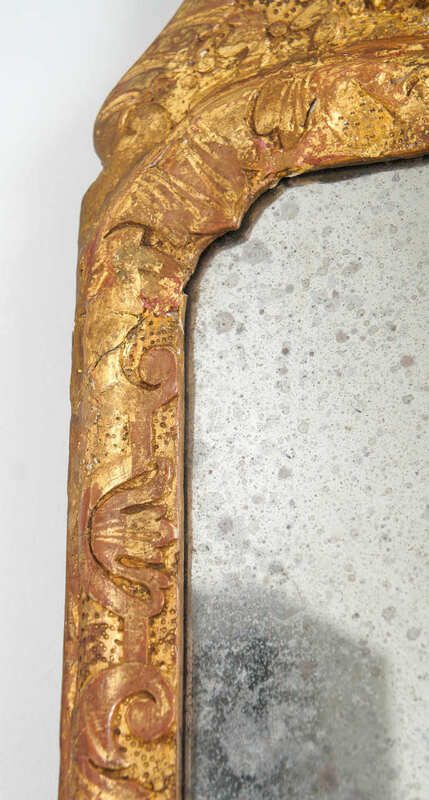 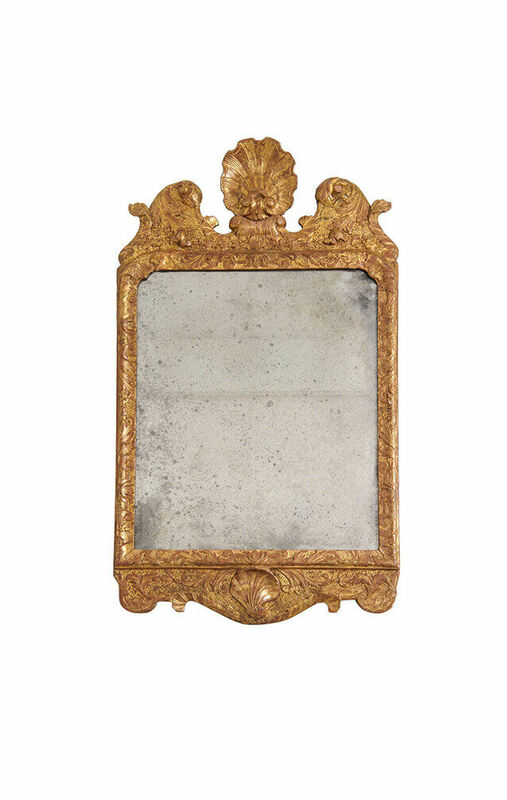 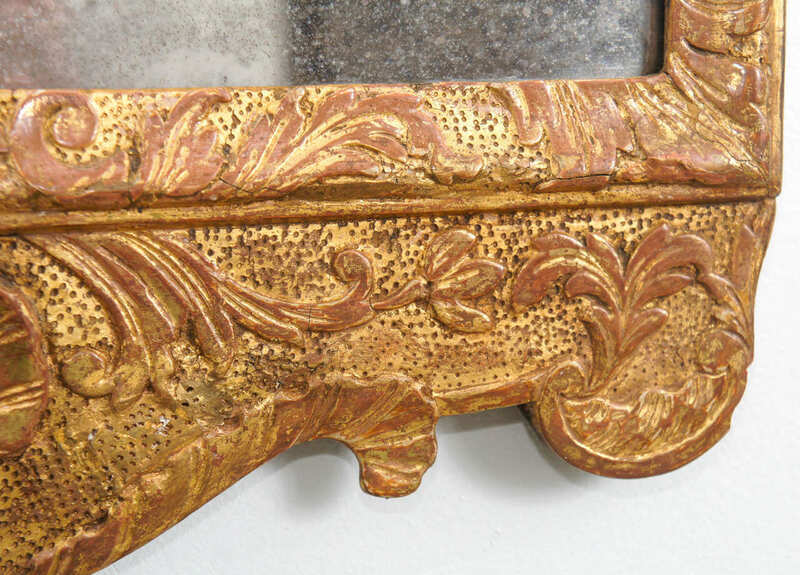 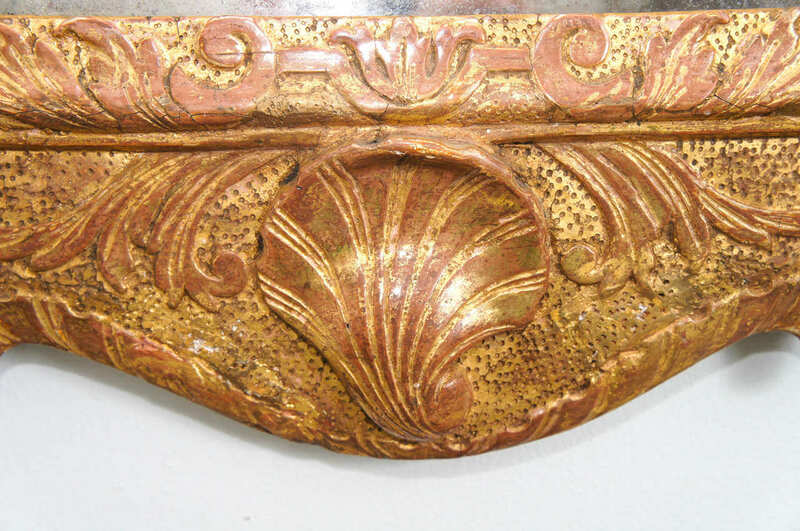 Fine George I period carved giltwood framed mirror having foliate carved and punchwork broken pediment with large central shell form finial and shaped bottom with corresponding foliate, punchwork and embedded shell apron. 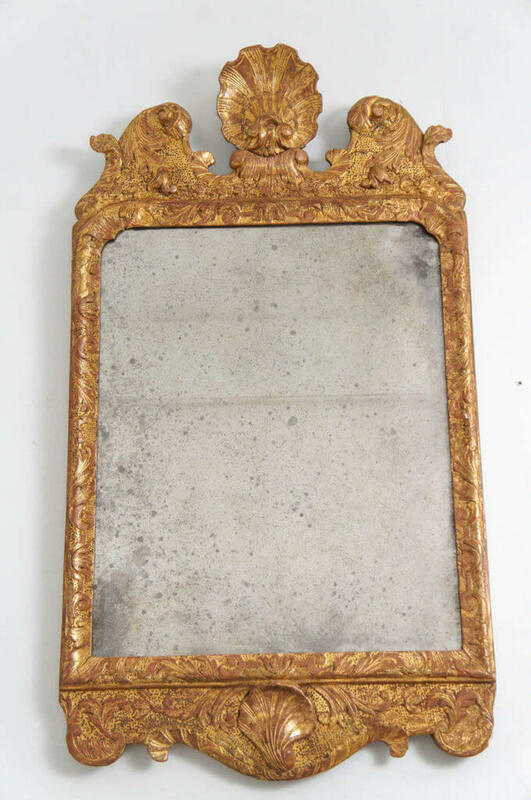 Original naturally patinated Vauxhall plate beveled mirror glass. An exquisite piece. 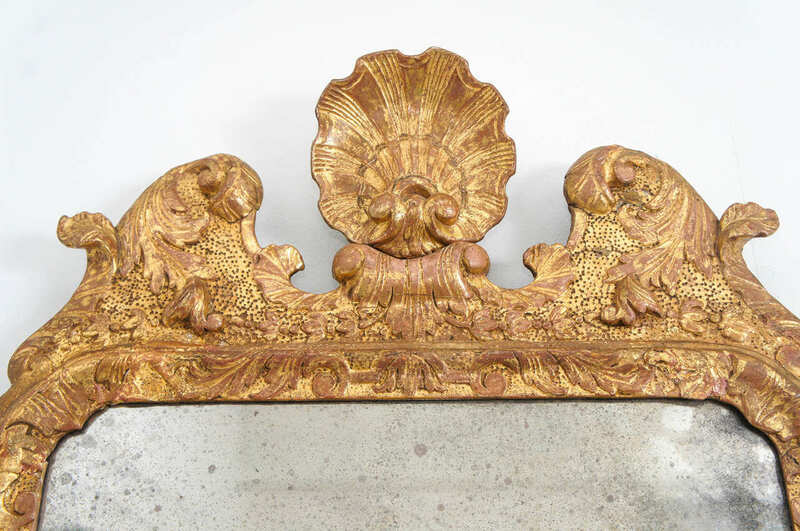 Provenance: Stair & Co., London, UK; Private Collection, USA.